Get French Toast Alerts on Slack. 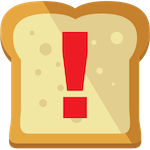 Get up to the minute French Toast Alert System updates in your Slack Workspace! Alerts are generated using data provided by Universal Hub's French Toast Alert System.